In just one month, the sequel to Zack Snyder's most bare-chested movie hits theaters. And 300: Rise of an Empire covers way more ground than 300, including Xerxes' origin story and what happened after the Battle of Thermopylae. Check out some exclusive sneak peeks from the book 300: Rise of an Empire: The Art of the Film, which show this movie's crushing ambition. 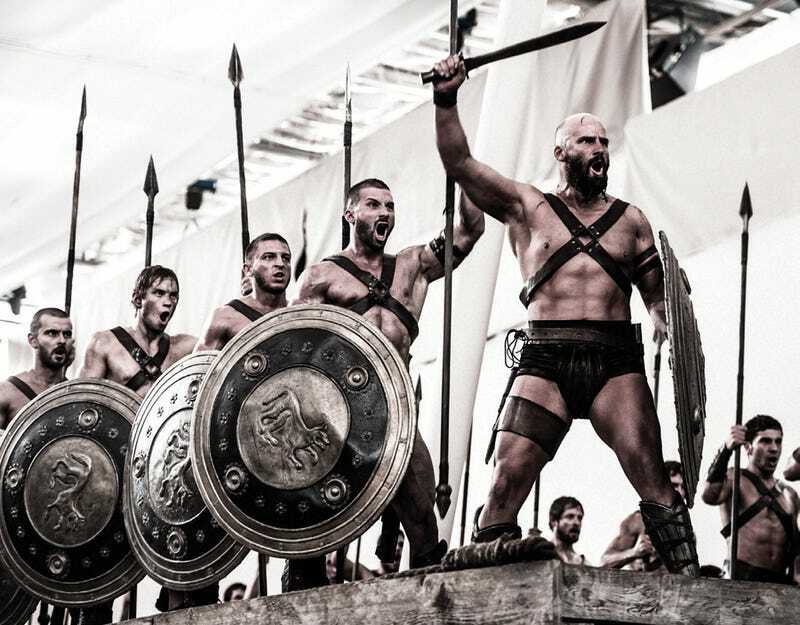 300: Rise of an Empire: The Art of the Film has tons of behind-the-scenes photos, some of which you can see below, which illustrate how they went about creating massive naval battles entirely on greenscreen. And concept art showing some of the most impressive buildings of antiquity — again, see below. There are also character portraits by Clay Enos, whose beautiful Watchmen Portraits you'll probably remember. And insights from Snyder and the new film's director, Noam Murro. Below, check out some exclusive glimpses from the book, plus the two full page spreads they come from. 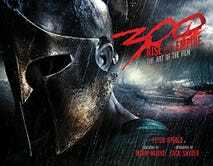 300: Rise of an Empire comes out on March 7, but this art book is out now.